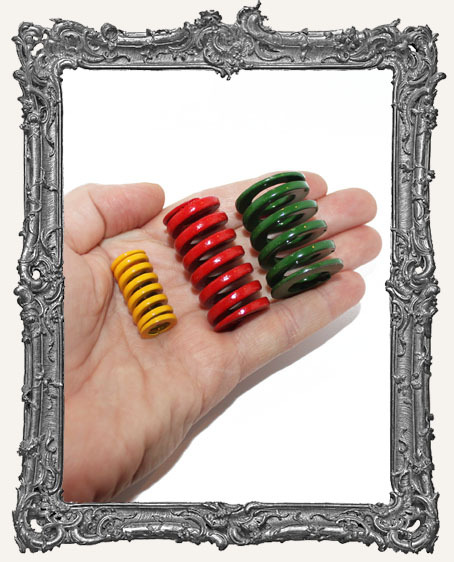 * I love these cool vintage springs! 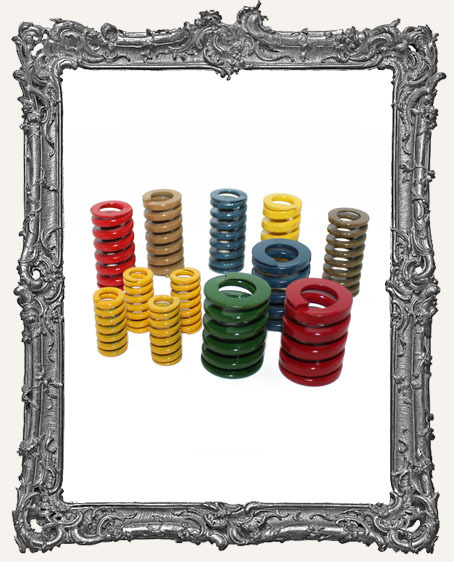 They colored springs are powder coated (painted) and very heavy duty. There are also a few plain gun metal (antique silver) springs up for grabs. They are almost impossible to bend and/or cut, but they are fantastic as is. The third photos shows you an example of how they might be used. 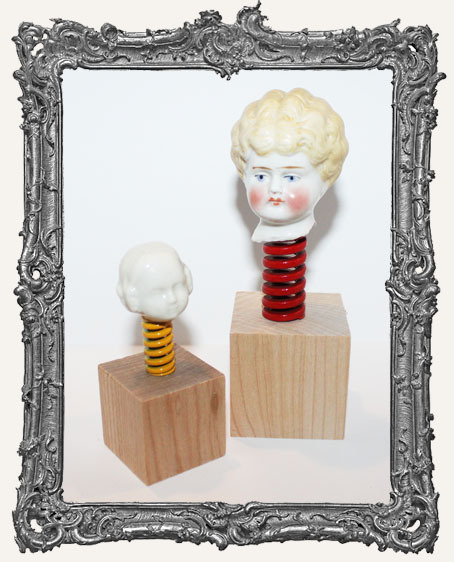 I immediately thought of fun doll necks. Of course there are many other uses as well! Steampunk and Circus art too. * Various sizes as listed. Sizes are approximate and rounded to the nearest size. * Limited supplies! Once they are gone, they are gone for good! This is the first and only time I've ever come across them! * Pick your size and color below. Sold individually.